The Dead Sea Scrolls, discovered in the city Qumran in 1947, is one of the most significant antiquity finds of modern times. The sequence of events which led to its discovery and excavation reads like an Indiana Jones plot. 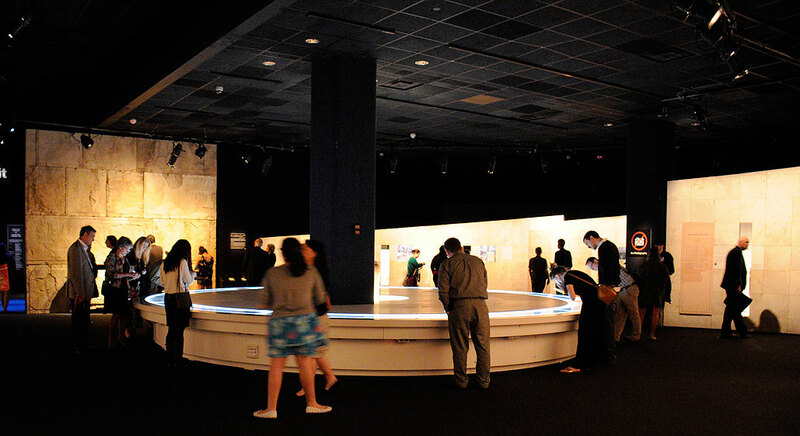 Beginning this week and running until October 20, visitors to the Museum of Science, Boston will have an opportunity to see up close this ancient handwritten text, along with the most comprehensive collection of Israeli antiquities ever organized. 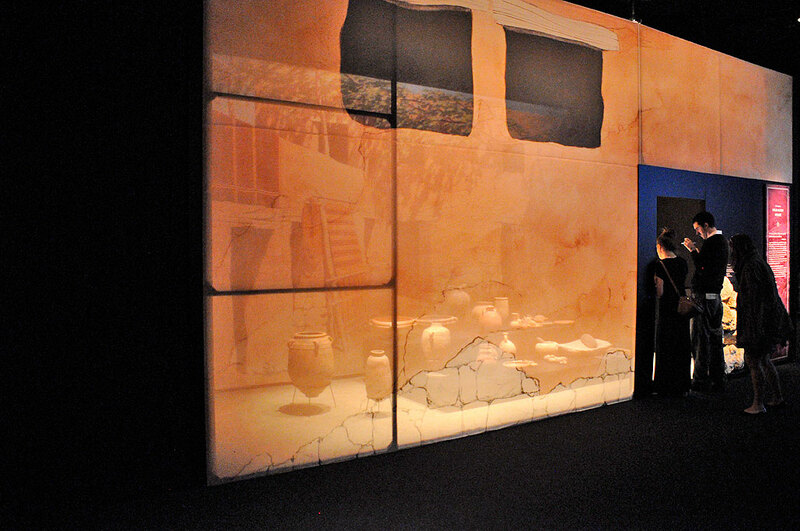 RainyDayMagazine got a first-hand look at Dead Sea Scrolls: Life in Ancient Times, which premiered last Sunday. This is the scrolls’ amazing story: in 1947, a Bedouin goat herder was chasing after a goat who had scampered through a small opening leading into a cave. In the cave were jars containing some scrolls. The herder’s chance discovery eventually led to the unearthing of over 972 remarkably preserved scrolls, including the earliest Biblical texts ever to be uncovered! This once-in-a lifetime exhibit offers rare insight into daily life long ago, with more than 600 objects, including a 3-ton stone from Jerusalem’s Western Wall. Museum visitors may tuck notes between the stones that comprise the Wall display, and the notes will be collected and sent to Israel. The tradition of placing notes between the stones at the actual Western Wall began centuries ago, and we saw a number of people taking advantage of the exhibit’s opportunity to continue it. A replica of a four-room house offers a glimpse of life at home, from meal preparation to sleeping quarters. Other artifacts add to the picture – including carvings, figurines, remains of religious symbols, coins, shoes, and other such items. Inscriptions and seals (known as “bulla”) such as the Archer Seal provide information about the iconography and personal imagery of the period. The centerpiece of Dead Sea Scrolls: Life in Ancient Times are 20 fragments of the Scroll collection, which have never been exhibited. The scrolls are dramatically presented in a circular Communal Scroll Table. The scrolls are housed in individual chambers. 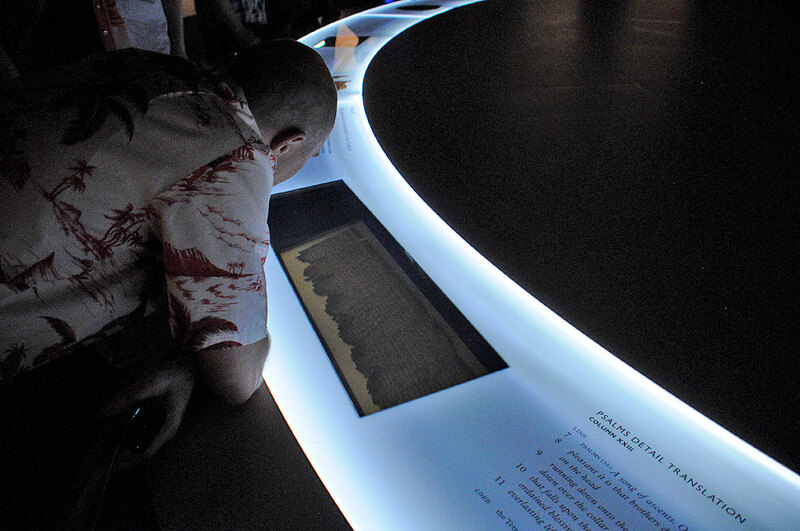 Next to the chambers are high-res images of the fragments, the full English translation, and detailed explanation of each scroll’s significance. 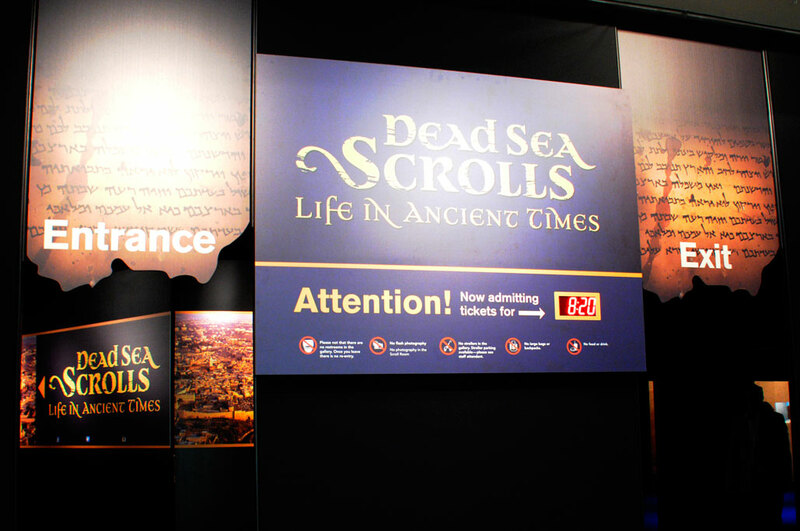 In addition to the exhibit, the MOS will offer a number of hands-on activities, live presentations, and special programs to complement to Dead Sea Scrolls: Life in Ancient Times. The Museum is partnering with Brandeis University to create related educational programs. For additional information about the programs, visit mos.org.